DAVID LE/Staff photo. 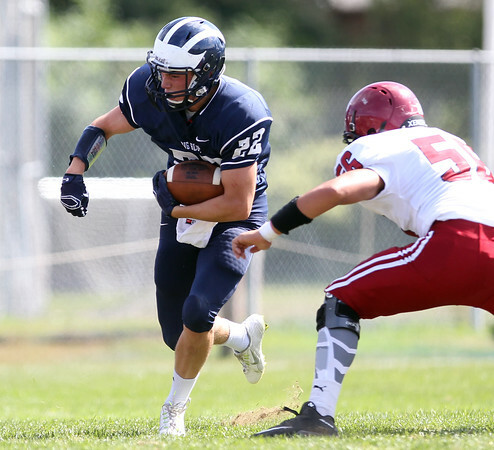 Swampscott running back Brett Gambale (22) tries to power his way past Gloucester's Jake Schrock (56). 9/26/15.